There is still a lot of mystery around what exactly causes aurora, the swirling spectacles of light that grace Earth’s southern and northern high-latitude skies. 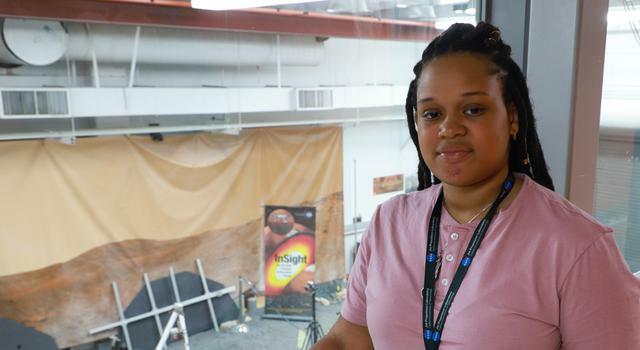 So, this summer, Jasmine Cameron, a JPL intern and computer science major at Howard University, helped push aurora science further by developing an algorithm to detect the phenomena in video taken from a weather balloon. Fellow intern Evan Kramer caught up with Cameron to ask how learning about aurora might help the average person and what it’s like to work with NASA scientists and engineers. What are you working on at JPL? My project is in computer science. What we’re trying to do is image aurora, so your northern and southern lights, during the day time. A near-infrared camera goes up on a weather balloon and takes a video of the sky at up to 30 frames per second. It stores the collected data and sends back video containing auroras. What we want to do is develop an efficient, real-time algorithm based on machine learning technology that can identify frames with aurora in them so that we can collect science data about these phenomena. Our algorithm needs to give the scientists as many true-positives, or useful images with auroras in them, as possible so they can better understand what they are. It also needs to fit on the computer aboard the balloon so that it will be power efficient and high performance. 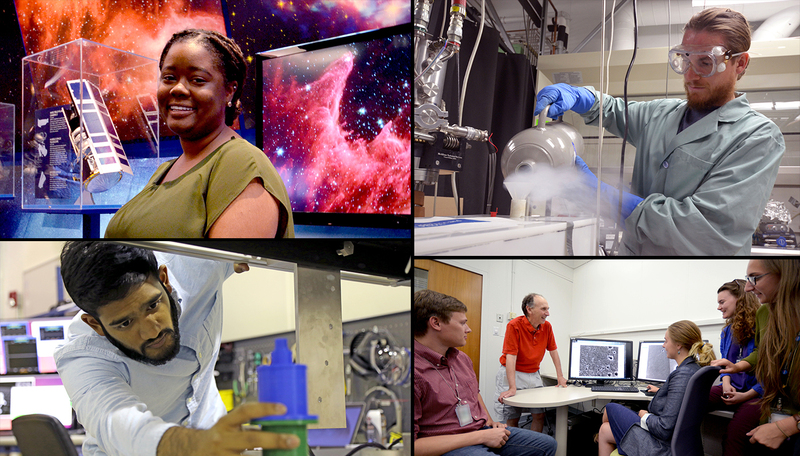 Read stories from interns pushing the boundaries of space exploration and science at the leading center for robotic exploration of the solar system. How might understanding aurora help the average person one day? Auroras are the result of a complicated interaction between the Sun and Earth. This interaction is a fundamental cosmic process that will affect space weather, which in turn will affect our daily life in terms of radiation exposure, satellite and radio communication, power systems, and so on. Studying aurora could help us better understand and forecast space weather. I come in and check my email to see if my mentor has sent me any new data to process. Then I’ll get to work on algorithms I think would work as a detection system for identifying the presence of aurora in images. There are a lot of different machine-learning algorithms out there that we can test. The algorithm is based on machine learning technology. You create a model with unknown parameters. You then take the data and set it up between training data and testing data. Your training data is a bunch of base images with aurora in them and defined parameters used to detect aurora. Then, you develop the algorithm to look for those parameters in your test data, and it will conclude if there is an aurora or not in each of the test images. Then, you use a validation directory with only true-positives to compare the images in your test data that were identified as having aurora in them to actual aurora images to see how well your algorithm is working. My job is to see what algorithm works the best in identifying aurora in the test images. Did you have to do any research or special preparation before you started on the project? Yes, I had to read a lot, especially about the motivations behind why we’re doing this work and how we’re going to accomplish our goals. I had to read the technical documentation about different algorithms and different systems that are used to process the images and identify aurora. There’s definitely a lot of reading involved every day, and I frequently ask the people I work with questions. What’s the most JPL- or NASA-unique experience you’ve had so far? I got to see different hardware and test beds and even mission control where they control the Deep Space Network, [a system of antennas around the world that are used to communicate with spacecraft]. That was really cool. What about the people here? What’s the environment like at JPL? Everybody is kind of a nerd. Usually when I’m talking about my internship experience to friends back home, I have to edit out things I’d normally say because most of them would find it boring, but here I’m frequently asked what I work on in a genuine way. I know I can always ask anyone anything about their project and for help on my own project. It’s a great environment and I’m learning a lot. How do you feel you’re contributing to NASA/JPL missions and science? Just being able to do this type of work on aurora detection – it has never been done before. 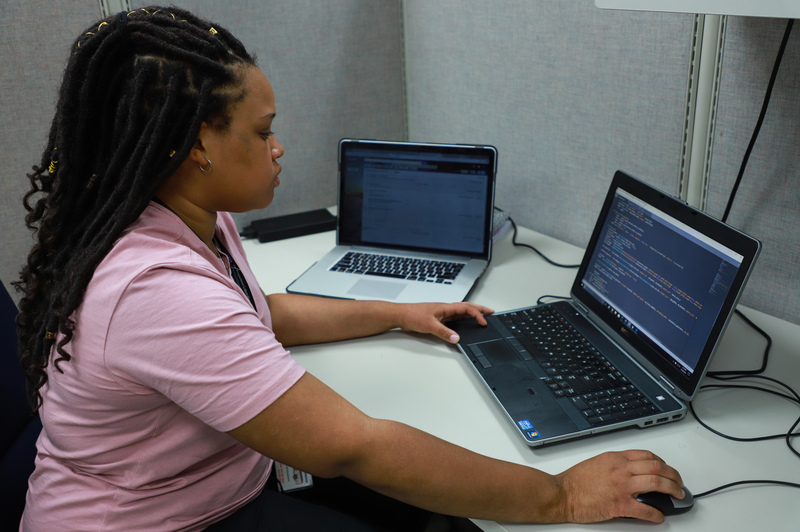 Being able to contribute to making data collection and analysis more efficient makes scientists’ lives a lot easier and helps us learn more about these phenomena. If you could travel to any place in space, where would you go and what would you do there? A black hole, just to see what happens. I’d want to see how destructive it is and how dark it is. 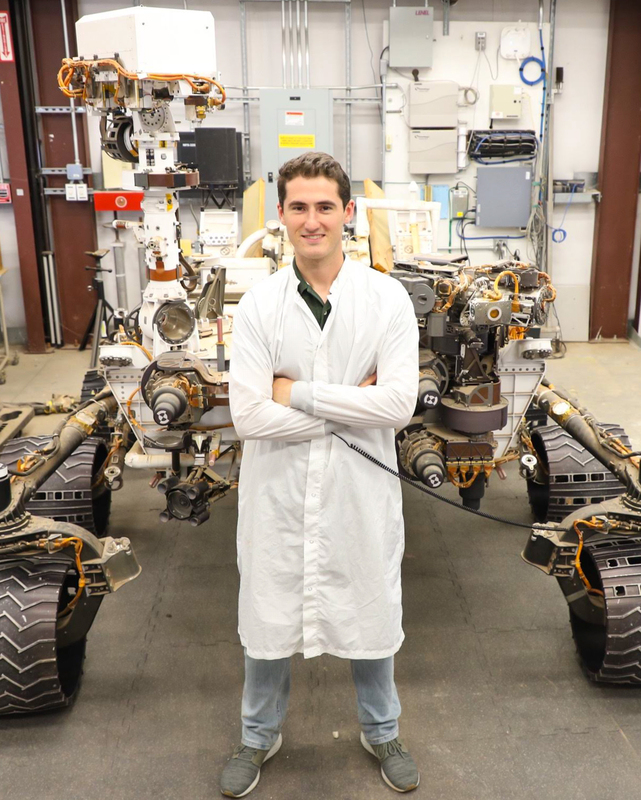 Evan Kramer was an engineering intern at JPL in summer 2018 and is currently a student at the University of Maryland, College Park, studying aerospace engineering. When he’s not studying, he can be found working in the lab, taking photographs for his college newspaper, The Diamondback, or passionately cheering on his favorite soccer team, FC Barcelona.